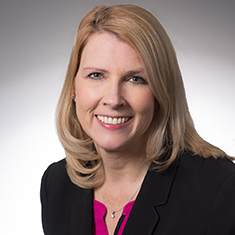 Theresa Foudy focuses her practice on high-stakes bankruptcy litigation matters, representing Chapter 11 debtors, creditors' committees, indenture trustees, secured and unsecured creditors, shareholders, and distressed investors in all stages of litigation, up to and including trial and appeal. She has particular experience with the nuances of Chapter 11 cases, including preferences, fraudulent conveyances, equitable subordination and disallowance, subordination under section 510(b) of the Bankruptcy Code, disallowance under section 502(d) of the Bankruptcy Code, intercreditor agreement contractual disputes, substantive consolidation, valuation disputes, perfection and validity of security interests, derivative standing disputes, and plan confirmation objections. Theresa also advises clients in responding to Bankruptcy Rule 2004 examinations. Theresa previously served as an appellate attorney in the Manhattan District Attorney's Office, where she argued cases before the US Court of Appeals for the Second Circuit and the New York Court of Appeals, along with being the office's Civil Litigation Coordinator. She also clerked for the Honorable Dolores Sloviter, Chief Judge of the US Court of Appeals for the Third Circuit. Lead trial counsel for defendants, wholly owned subsidiaries of a multinational commodity trading and mining company, in a four-day bench trial seeking declaratory judgments as to numerous property rights and contractual damages associated with the rejection of a lease to a power plant in an adversary proceeding before the US Bankruptcy Court for the Southern District of Texas. While at a prior firm, lead trial counsel for defendant directors in a 15-day bench trial on motion of the Official Committee of Unsecured Creditors for standing to assert claims against directors for breach of fiduciary duty and aiding and abetting breach of fiduciary duty in connection with their approval of a merger transaction. After prevailing in the US Bankruptcy Court for the Southern District of New York, also handled successful defense of subsequent appeals by the Creditors' Committee to the District Court and US Court of Appeals for the Second Circuit. Conflicts counsel for plaintiff Chapter 11 debtor, a leading provider of residential mortgages. Participated in all aspects of litigation and trial of adversary proceeding against junior secured noteholders, including arguing motion to dismiss counterclaims and cross-examining witness at trial, in the US Bankruptcy Court for the Southern District of New York. Lead trial counsel for creditor, a state-owned oil and natural gas company, during an evidentiary hearing in connection with a motion to dismiss a bankruptcy case pending in the US Bankruptcy Court for the Southern District of Florida. Lead trial counsel for defendant, an alternative investment manager, in a 16-day bench trial of creditors' committee complaint seeking equitable subordination, recharacterization and disallowance of transferee noteholders' claims in an adversary proceeding pending in the General Motors Chapter 11 case in the US Bankruptcy Court for the Southern District of New York. Conflicts counsel for an Official Committee of Unsecured Creditors; conducted cross-examination of witness in contested evidentiary hearing on debtors' motion to extend exclusivity in Chapter 11 cases pending in the US Bankruptcy Court for the Southern District of New York. Representation of the co-chair of Official Committee of Unsecured Creditors for a global paper and packaging company during contested confirmation hearing trial, in which equity holders challenged valuation of bankruptcy estate in cases pending in the US Bankruptcy Court for the District of Delaware. Responsible for preparing examinations of witnesses, and opening and closing statements. Counsel for plaintiff, the exclusive distributor for brand-name clothing products in Latin America, suing for breach of contract for premature termination of license agreement. Prevailed in jury trial, resulting in permanent injunctive relief precluding termination of license agreement. Responsible for all aspects of litigation from complaint through jury verdict in client's favor, including discovery, dispositive motions and pre-trial filings. Argument before the US Bankruptcy Court for the Southern District of New York on behalf of plaintiff, a global financial services firm, in defense of summary judgment motion brought by defendant, a financial services multinational, seeking dismissal of claims for actual fraudulent conveyance arising from client's issuing guarantee to defendant of billions of dollars of intraday exposure days before filing for bankruptcy. Brief and argument, on behalf of plaintiff, an institutional lender, as trustee for holders of $250 million of senior secured notes, oppositions to motion to dismiss complaint and amended complaint alleging breach of contract claims against junior noteholders for violations of intercreditor agreement in the Chapter 11 cases pending in the US Bankruptcy Court for the Southern District of New York. Brief and argument of successful motion to dismiss in the US District Court for the Southern District of New York on behalf of Panamanian financial institution; obtained dismissal of claims alleging breach of fiduciary duty and conspiracy arising from sale of an investment company under the terms of a limited liability company agreement. Brief and argument of successful motion to dismiss on behalf of a global supplier of automotive seating systems and electrical systems of a $264 million patent infringement claim brought in Chapter 11 cases pending in the US Bankruptcy Court for the Southern District of New York. Also successfully defeated motion by plaintiffs to lift the automatic stay to continue pursuing claims in state court. Brief and argument of successful motions for summary judgment and sanctions in defense of $60 million claim for fraudulent inducement and breach of contract against a provider of liquidation services. Brief and argument of successful motion to dismiss on behalf of a provider of liquidation services of claims for equitable subordination or recharacterization of debt brought by the Official Committee of Unsecured Creditors of Steve & Barry's in the US Bankruptcy Court for the Southern District of New York. Brief and argument of successful motion to dismiss on behalf of accounting firm of third-party complaint brought by investment bank seeking contribution and indemnification from client in connection with claims for fraud brought by the Enron bankruptcy estate in the US Bankruptcy Court for the Southern District of New York. Argument of more than 100 appeals before the New York Appellate Division First Department, New York Court of Appeals and US Court of Appeals for the Second Circuit as a member of the Appeals Bureau for the New York County District Attorney's Office and the Office's Civil Litigation Coordinator.